I remember a conversation or was it a few lines in a book? 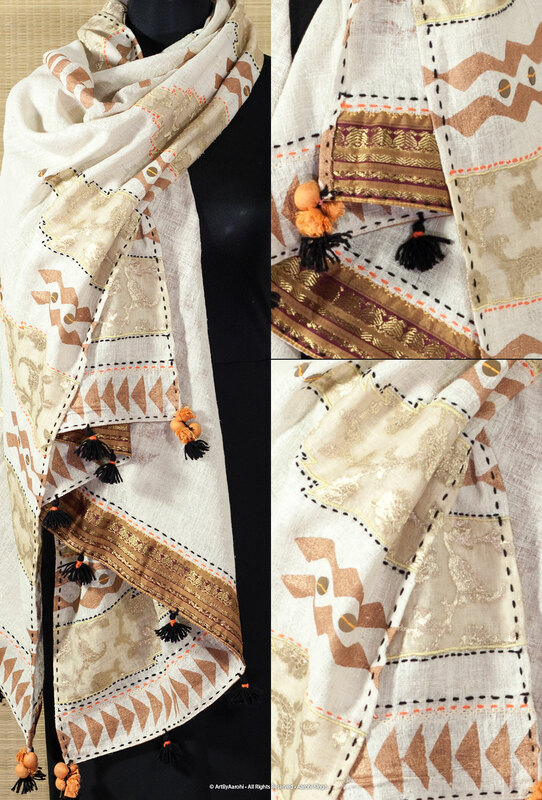 A serene idyllic view of a mountain side and a naughty boy pulling at a yellow dupatta. A young woman shyly admonishing him as she watched it float away.. 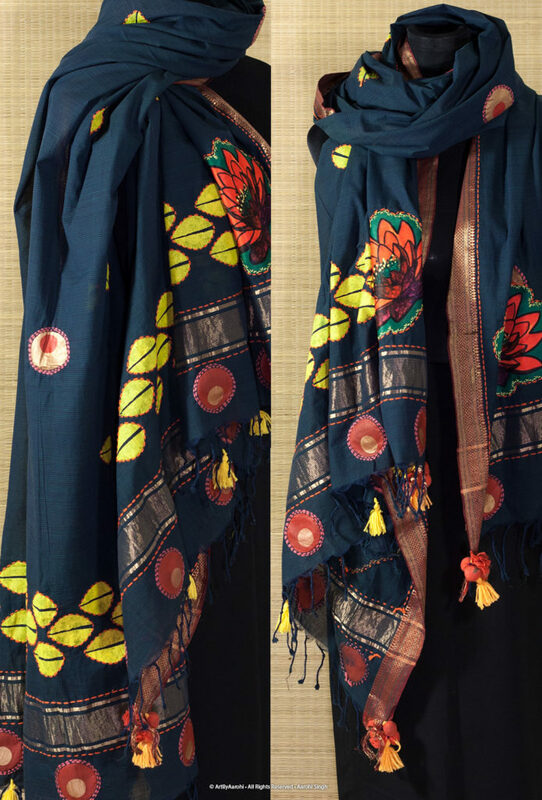 The dupatta/stole/scarf… preserves modesty for some and adds colour for others. It can make or break an outfit. For me it is my shield. It shows you my mood if you only look carefully. It is bold or fluid. It is breezy when chiffon and base when khadi. It is so many things to so many. 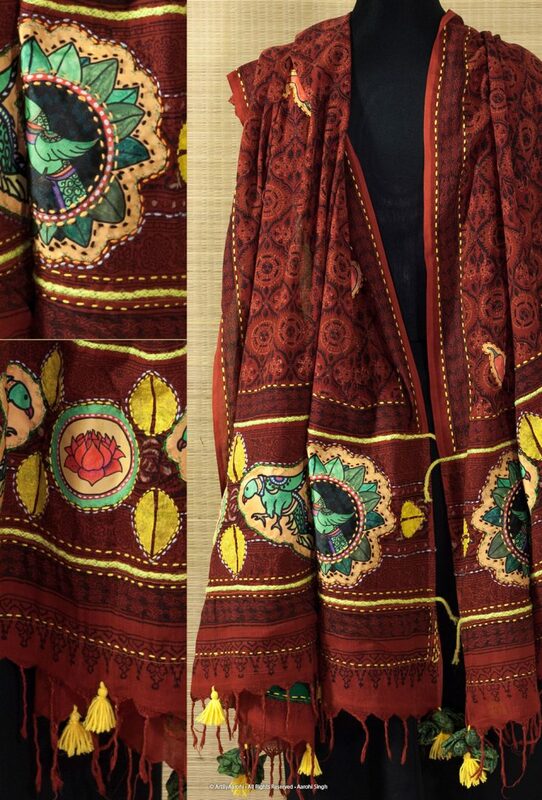 My maasi’s drape it a certain way and I wrap it around my neck. It is like substituting my lovers arms around me. And if I have memory attached to that yard or two of fabric… sigh!!! 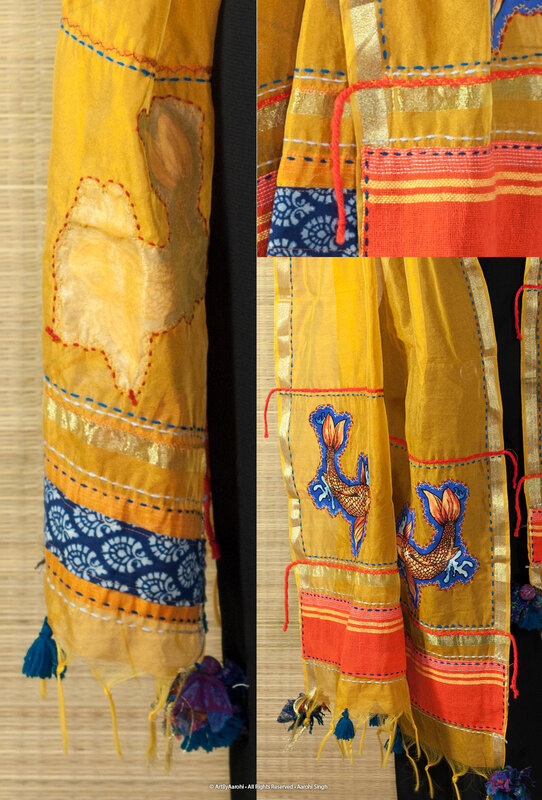 In my never ending quest to further an idea and concept across mediums, here are 21 one-of-a-kind dupattas up for grabs. This entry was posted in DIY, Graphic, Re-use, Re-work, Sewing, Upcycle. Bookmark the permalink.